This forced air-cooled 4-cycle engine features an internally vented carburetor, dual element air cleaner, oil filter, KAI, choke, and a ball bearing supported crankshaft. This forced air-cooled 4-cycle engine features an internally vented carburetor, dual element air cleaner, zone start, 1.8L fuel tank, KAI, primer, fixed throttle, engine brake and a ball bearing supported crankshaft. 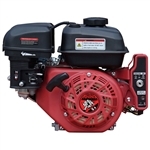 This forced air-cooled 4-cycle engine features an internally vented carburetor, dual element air cleaner, oil filter, KAI, primer, fixed throttle and a ball bearing supported crankshaft. 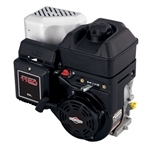 This forced air-cooled 4-cycle engine features an internally vented carburetor, dual element air cleaner, zone start, oil filter, KAI, primer, fixed throttle, engine brake and a ball bearing supported crankshaft.